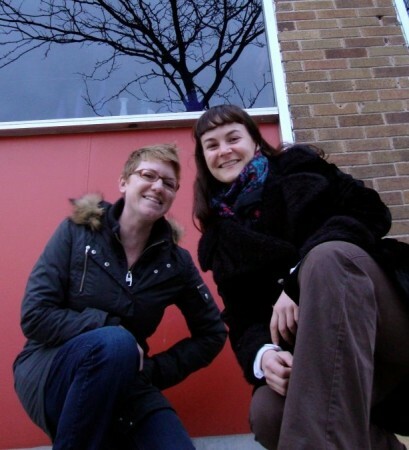 Last week I sat down with Rachel Wacker and Amzie Wendt – also known as Rage to Order, a curatorial team working out of Lowertown, St. Paul – to hear more about their upcoming event, IN IT 2012, and learn why their exhibitions go beyond just getting artists’ work on the wall. Amzie and Rachel are two of the nicest, most thoughtful gals I’ve met, so I was admittedly curious about their operating title, Rage to Order, which my nostalgia sorts along ‘angst-on-command’ and a certain 90s political rock band, rather than exhibition organization. Their facebook profile informs me that “Rage to Order” is Wallace Steven’s description of the relationship between the artist and the external reality that compels them to create. 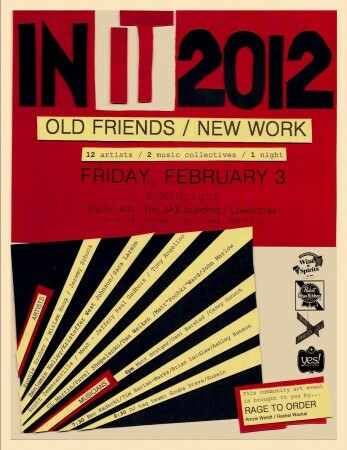 IN IT 2012 opens Friday, Feb 3rd! 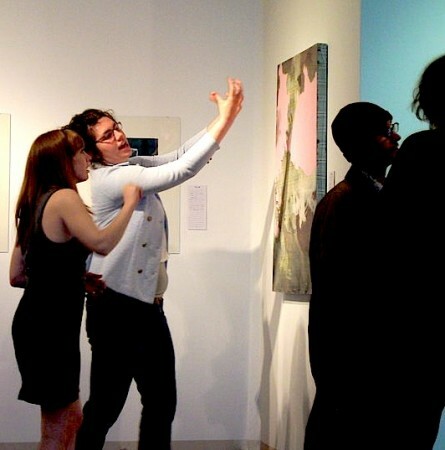 With this curatorial philosophy in mind, Wacker and Wendt have been producing shows in the Lowertown area of St. Paul for the past three years, including an 18-month residency at Echo Arts, and have more than 33 exhibitions and programs under their belt – no small feat for an emerging curatorial team! R2O thank the energy and enthusiasm in the Lowertown community for their success, but they are also quick studies and have evolved their exhibition planning strategies to respond to their audiences, which is as integral to their planning as their loyalty to artists. R20 wants to give viewers a reason to stay in the space and permission to be present and respond. What’s interesting is, they have explored and found ways to facilitate this that are congruent with major museum evaluations – sometimes all it takes is furniture to get people to stay in the room and a prompt to elicit a reaction. By putting premium on artists and audience experience, R20 has introduced experiential exhibitions that are interpretive programs in themselves, including Title Me, Small Change, and IN IT 2012, which opens this weekend. I look forward to seeing more from Rage to Order as they continue to welcome audiences and create exposure for artists in Minnesota!